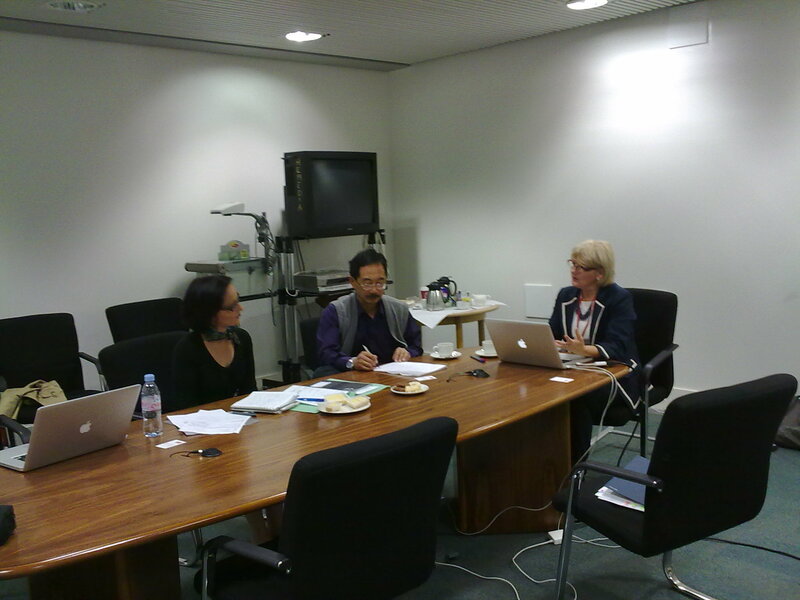 On 10th September, 2009, the UBiRD team met with Sally Halper from the British Library. This meeting was instigated by Sally Halper of the British Library. Sally was interested in finding out about the outcome of the observation studies conducted by the team at Middlesex University as she is responsible for developing the Management & Buinsess Studies Portal at the British Library. The meeting took place at The Sheppard Library, Middlesex University with Professor William Wong, Nazlin Bhimani, School Liaison Manager in Learning Resources Academic Support and Project Researcher Hanna Stelmaszewska. Hanna Stelmaszewska presented the initial findings from the UBiRD study to Sally Halper from the British Library. Sally Halper then showed the team the Management & Business Studies Portal which was impressive. Sally has promised to come and share this news of this new BL service with the librarians at Middlesex University. The UBiRD team were invited to the BL to present their findings together with the CIBER research team. This project aims to identify, understand and compare behaviour of students and researchers from business and economic studies representing different level of information literacy experience (novice, experience and expert) using various resource discovery systems available in HE institution as well as free online resources available on the Internet while seeking for information relevant to their work or study. The purpose of this work is to inform JISC, publisher groups and libraries of issues arising from the interaction between user behaviour and the technology that will impact the development of a roadmap for improving user access across the different platforms so as to improve the quality of scholarly information search and retrieval.